You put a lot of time and energy into your aquarium – choosing fish, plants, substrate, ornaments, and many other things. But have you considered lighting and the led aquarium lighting benefits? Good lighting is one of the most important aspects of an attractive aquarium. 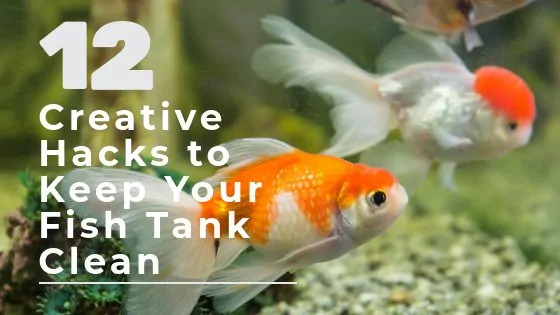 The way you light your tank can play up certain features, highlight your fish, and have a real impact on the way it looks in its setting, whether that’s at home or work. But how do you know which lighting is the best fit for your tank? In this article, we’ll take a closer look at the best LED lighting. LED lighting doesn’t have to be overly expensive to set up – and it’s definitely inexpensive to run. It works just as well in freshwater aquariums as it does in saltwater and reef tanks. We’ll also review five products that can help you choose the right product for your tank. 6 important points you must consider when choosing LED lights for your aquarium? 1. How big is your aquarium? 2. What kind of plants do you have in your aquarium? 3. What color and intensity of light do you want? 4. How long will the lighting system last? 5. How tech-savvy are you? LED stands for “light emitting diode” – in the most technical sense, it’s a semi-conductor that emits light when electricity is passed through it. LED lighting has stormed onto the lighting scene over the past decade as the demand has grown for efficient, inexpensive lighting options. LED light bulbs last longer than traditional incandescent lighting, they’re more durable, and they can be adapted to produce many different kinds of lighting qualities, including colors and special effects. How efficient are LEDs? They use up to 85% less power than incandescent or halogen bulbs – which means it costs less to run them – and they last 25- 50 times as long. This makes LED lighting a real product of choice for homes, businesses and industries across the world. LEDs have a range of beneits when compared to traditional choices of lighting such as halogen or incandescent bulbs. they’re really tiny – about the size of a grain of pepper. instead of using a single bulb to produce white light, as incandescent bulbs do, LED lighting uses a mix of red, green and blue LEDs to create a white glow. LEDs emit light in a specific direction. This means they can be angled and pointed in a way that traditional lighting can’t be, and where a reflector would be needed to achieve the same effect. This makes LEDs a great choice for things like recessed downlights, cabinet lights, holiday lighting or for lighting specific objects – such as aquariums, for example. When you first start looking at LED lighting you might get overwhelmed by the vast array of LED aquarium lights, types and products on the market. Don’t despair! By following a simple checklist, you can narrow down the many different choices in order to find the lights that are best for your needs. First of all, how big is your tank? This will be the most important factor when choosing the LED lights that are right for you. If you’re running a 5-gallon tank of bettas, then LED lighting isn’t going to be at the top of your list. However, the larger your aquarium, the more lighting you’ll need – and if you have a monster tank, you’ll need to choose a light system with a wide coverage and a consistent intensity. If you’re planting out your aquarium then you’ll need to choose a different kind of lighting than if you have a very simple tank. Whether it’s fresh or saltwater, the plants (or corals) in your aquarium will have different growing phases, and they will require different levels of light intensity than they do at other times during their life cycle. Different kinds of plants have different light requirements, and there are LED systems to suit each kind. If you want to know more about low light plants, you may want to check this post. When it comes to LED lighting, there are many different choices of color and intensity that you can choose for your aquarium. You can specifically tailor the lighting level to suit your plants, fish and corals, whether it’s across their growing phases or on a more daily basis. what colors do you want to see in your tank? Have you seen some unusual color combinations that you’d like to recreate? Do you want to highlight certain colors of your fish stock? is your aquarium in the living room or office – or in a quiet bedroom? Where your tank is placed will have a big impact on the lighting that works best for it. You may not want a disco ball in your bedroom (or maybe you do), but it could work in another setting. And you probably want to choose an LED system that is slim and doesn’t hang over or outside the tank in a big ugly frame that will detract from the beauty of the tank itself. These excellent references can help you understand how to use LED lighting to its best effect in both freshwater and saltwater tanks. Because there are so many LED options out there, you can easily buy a cheap system for your aquarium. But is this the best choice? Of course, you want to get value for your money, but ideally you also want a lighting system that is going to go the distance. It’s important to choose a product that isn’t going to break, lose output or change color spectrum as it ages. This might cost a little more upfront, but it will save money in the long run when you don’t need to keep buying replacement parts and bulbs. The good news is, there are lots of good-value products in the $50-$250 range. There are lots of fool-proof LED lighting systems available for beginners now, and most of the have software and programming options that help you to set and control the light levels in your tank. Some are simple, but others will need a computer to set options such as timing, intensity, cycling, custom color displays and so on. You can often set up your lights to change throughout the day to mimic the natural sunrise, midday, sunset and night-time; and you can also set them to shimmer and pulse. It’s great that you can do all this. But the important question is: will you? All the bells and whistles are terrific, as long as you use them – but they’re a waste of money if you don’t. You should always choose a system that you understand and feel comfortable with. 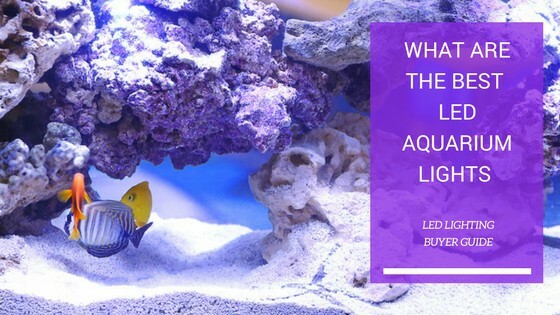 This is probably the most important consideration when you’re choosing an LED lighting system for your aquarium. Set yourself a realistic budget and stick to it – it’s easy to get carried away with a huge variety of options that increase in technicality and price. You can easily spend thousands of dollars on vastly complicated systems that you might not actually need. In this article, we’ll review a range of products that cost between $50 – $250, so that you can choose something effective that also won’t break the bank. If that’s too expensive, you can always build your own LED lighting set – here’s a great video that shows you how to do it for less than $25. Keep in mind too, that LEDs cost far less to run over their lifetime than traditional sources of lighting. This handy table shows how costs compare over 50,000 hours. Even though LEDs are generally waterproof or labelled as water resistant, you shouldn’t use them underwater. Don’t submerge them unless the instructions specifically say you can! It could damage the equipment and could also be dangerous. Make sure they’re not mounted too close to other types of lighting, especially metal halides, as that can significantly reduce their lifespan. If you have a saltwater tank, watch out for salt and mineral accumulations that can cause corrosion. Keep your lights clean. LED light changes can sometimes cause shock corals and cause them to bleach. Make sure you introduce LEDs slowly to your corals so that they have the chance to get used to them. Check this article for more details on acclimating Corals to LED Lights. In this section, we’ll review five products to help you choose the best LED options for your tank, whether its freshwater or saltwater. If you’re running a small saltwater tank with plants and especially corals, then the ViparSpectra 165W light with timer control could be an excellent option. This lighting system will best suit a 24 x 24 x 24 inch tank, but you can choose to add additional units to cover a larger tank. This lighting system is full spectrum, and suitable for all photosynthetic corals. As with all LEDs and corals, make sure you slowly introduce your corals to the light by gently and steadily increasing the exposure. This lighting system has a built-in timer that allows you to program different intensities for two different channels. Channel one features violet/indigo, royal blue and blue colors, and channel two emits green, red, neutral white and cool white. Across the two channels there are 55 individual LEDs. This complete set mimics natural light to help corals and fish receive their optimum lighting levels. The lighting system is securely mounted over your aquarium to ensure proper positioning. It’s adjustable and comes with a lock assembly. There’s a quiet fan and heat sink to ensure the system stays cool. The lifespan of the bulbs is set at 100,000 hours, and there’s a 3-year warranty and 30-day money back guarantee. There’s excellent customer support online. One drawback is that this system can’t be programmed for sunrise, sunset and moontime, but it could be a good choice if that’s not an issue for you. If you’re looking for a programmable unit that can simulate the natural 24-hour environment, with a gradual change from sunrise through to sunset and moonlight, then the Current USA Orbit Marine Aquarium LED Light could be the thing you’re looking for. It even has four special effects including “thunderstorm”! Specifically designed for saltwater tanks, the Current USA Orbit Marine system is fully controllable and comes with a timer and remote. You don’t need to be a computer genius – one good feature of this system is that it’s easy to use – you can just plug it in and go – and it’s easy to program. The Current USA Orbit Marine has two channels with dual color spectrums, so it works very well with marine fish, invertebrates, live rock and corals. It uses 120-degree lenses to spread the light out over the entire tank, enhancing its natural colors and fluorescence. It produces an excellent, eye-popping blue that really highlights the tank, especially at night. One great feature of this lighting unit is that it comes in a range of sizes, from 18-inch up to a whopping 60-inch option – meaning it can cover most tank sizes with ease. It’s also housed in a thin, aluminium casing, so the streamlined effect won’t detract from the beauty of your tank. For the aquarists who loves underwater plants as much as fish, the Fluval LED Daylight can be a great addition to a freshwater tank, and it can also be used with corals. This is a small unit but a versatile one – it has an adjustable size of 24-34 inches, and a range of mounting options (you can mount it on your aquarium frame, on the cabinet, or suspend it). You can also buy additional brackets, though be aware that they can be costly. The Fluval LED is a 25 -watt full spectrum light. The strip light provides full spectrum lighting via a balanced combination of multiple LEDs, specifically designed to produce optimal photosynthetic activity and plant growth. It also emits very bright, balanced lighting so that you can enjoy seeing your aquarium fish in their environment. Be aware that although this light comes with a night-time setting, there’s no timer included – so you need to remember to switch it over every evening. Some users have reported sudden blooms of algae after adding this light to their tanks, so watch out for this possibility. For something a little bit different, a directional LED rather than a track (horizontal) system could prove to be a good choice. The Kessil Controllable LED Aquarium Light enables you to use it like a spotlight, so that you can light up a particular section of your tank or an object inside it. This can add an element of drama to your tank that a natural track setting can’t achieve. While it’s at the top end of the price range in this product review, the Kessil is a unique product that produces a spectacular shimmer, reproducing the natural effect of light playing on to the water and the aquatic life below. Users report being absolutely delighted with the result. It comes with a gooseneck mount that attaches to the top of your tank, so you can direct it straight down into the water to brightly light the full tank, or you can angle it to achieve a more subtle look. And at just 5x5x10 inches, it’s a small unit that won’t look out of place at the top of your tank. The Kessil comes with manual controls so that you can change the spectrum and intensity of the light, and you can also set it up so that the light mimics the natural 24-hour cycle. It comes with an automatic control so that it turns on and off by itself. It works well for both plants and fish and the different models mean you can choose what suits your tank best. If you’re looking for an inexpensive LED product that will get the job done, then the Koval Aquarium Lighting Fish Tank Light Hood could be a good option for you. This light comes with basic features – there are no special effects like thunderstorms or shimmers on offer here, nor are there timers, dimmers, automatic controls or remote operations. Some users have reported problems with the LEDs burning out early, while others report that theirs happily work on and on with no issues. The light has five different colors and three different modes – you can choose all the LEDs on, for a spectrum of color that results in a bright white light, or select only the blue ones for a cooler or night-time mode, or turn them off completely. Although this product won’t give your plants the same kind of love that other more technical LEDs can, it’s a good option at the cheaper end of the range that is still functional and reliable. 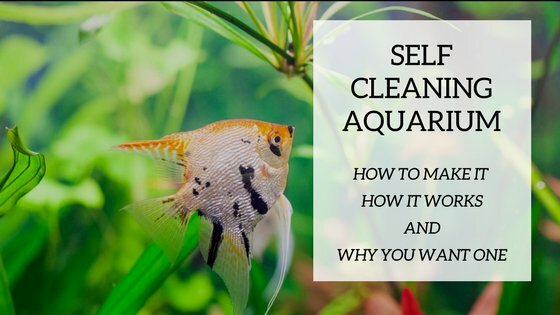 It works for both saltwater and freshwater aquariums. When it comes to LED lighting, there are an infinite number of options to choose from. 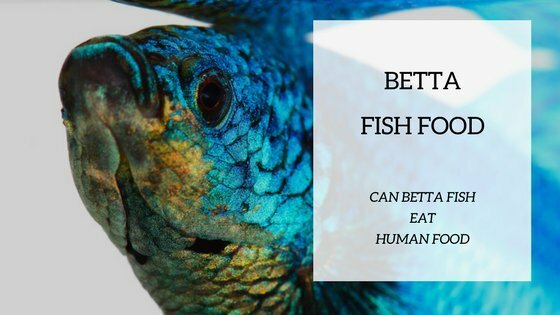 It’s important to choose what suits you best: in terms of your budget, your home (or office) environment, your tech capabilities and of course the kind of fish, plants and animals you’re stocking in your tank. From our perspective, if we were looking for a new LED system, we’d choose the Kessil A160WE Controllable LED Aquarium Light. Although this one comes in towards the top end of our product review price range, it has a variety of interesting features that also make it the top choice. Designed to be durable and long-lasting, the gooseneck attachment offers a variety of options for attaching it to the tank and lighting it in interesting ways. It works for both freshwater and saltwater tanks, and the programmable controls add an element of ease to the set-up and subsequent enjoyment of this lighting option. A natural 24-hour cycle is an attractive feature. But most importantly, it’s the effect of the light that is so special. The spectacular shimmer of this light has aquarists raving about how magical it is. And when it comes to aquariums, the element of beauty is perhaps the most critical of them all!